Learn how to use TeleNav Track to communicate with your mobile workforce while in the field. 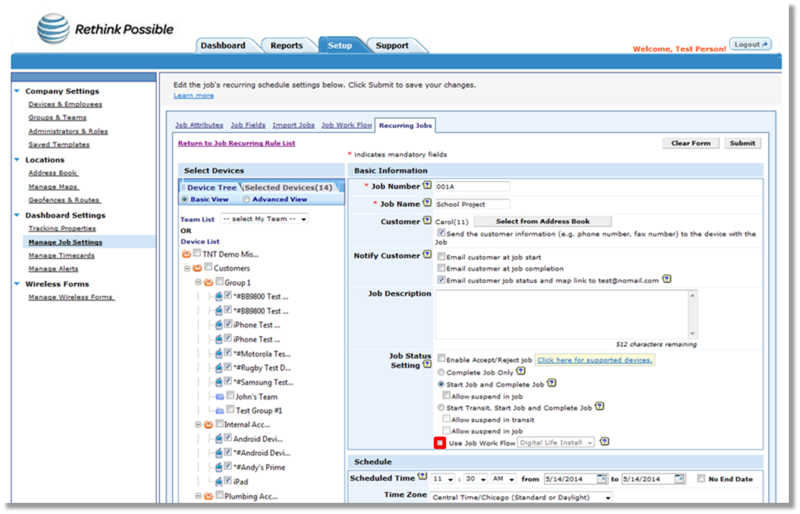 Let our convenient self-help tools show you how to keep track of your employees’ time, manage jobs, run reports using the web interface and much more. 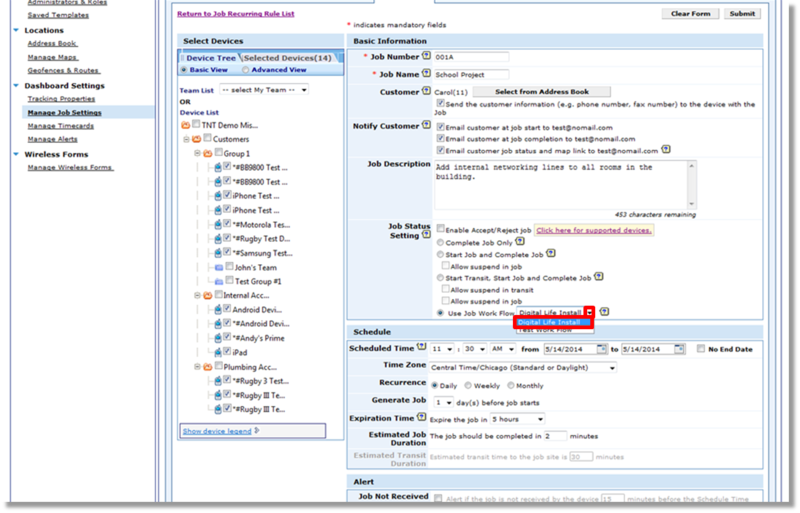 Under “Dashboard Settings”, click Manage Job Settings. Click the name of the job under “Job Name”. 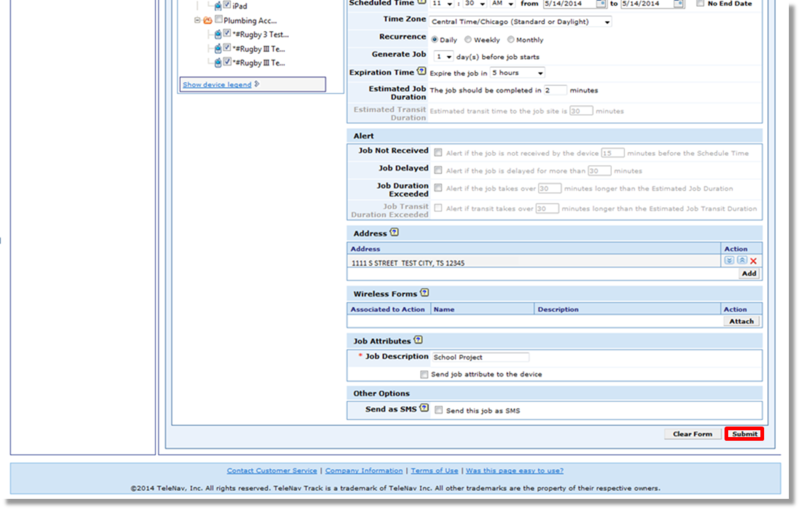 Click the radio button to the left of “Use Job Work Flow”. 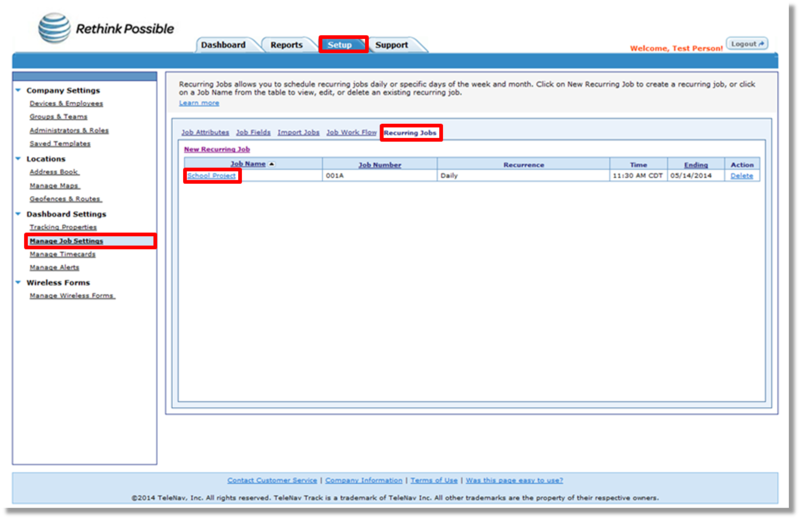 Click the dropdown arrow to the right of “Use Job Work Flow” and click on the appropriate work flow.